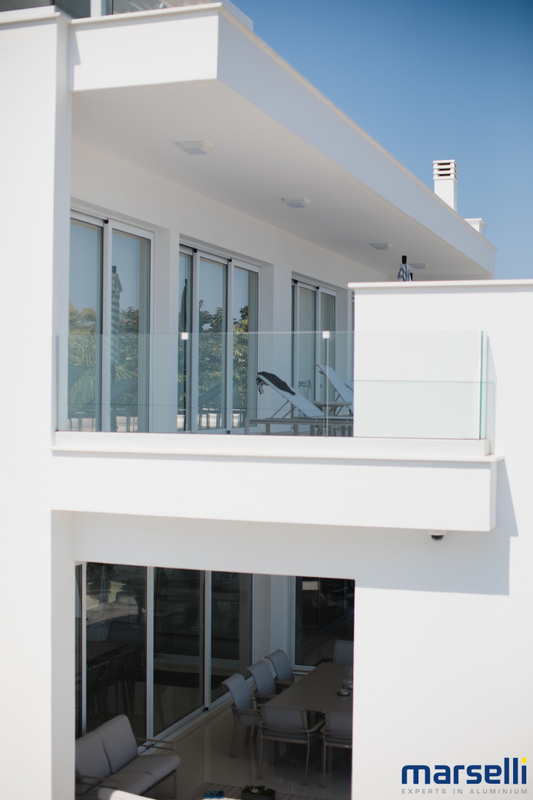 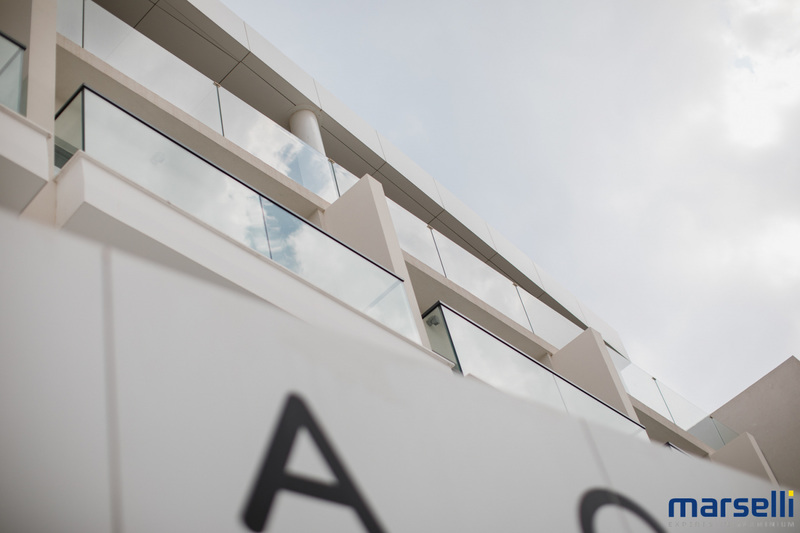 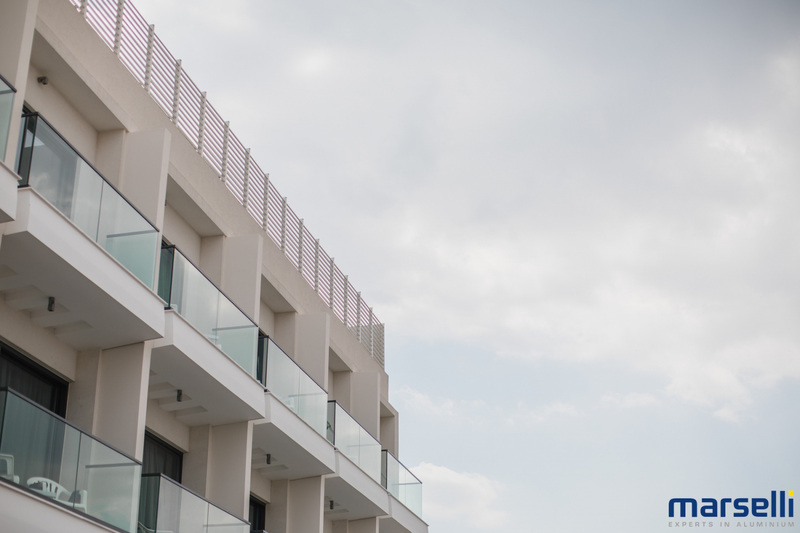 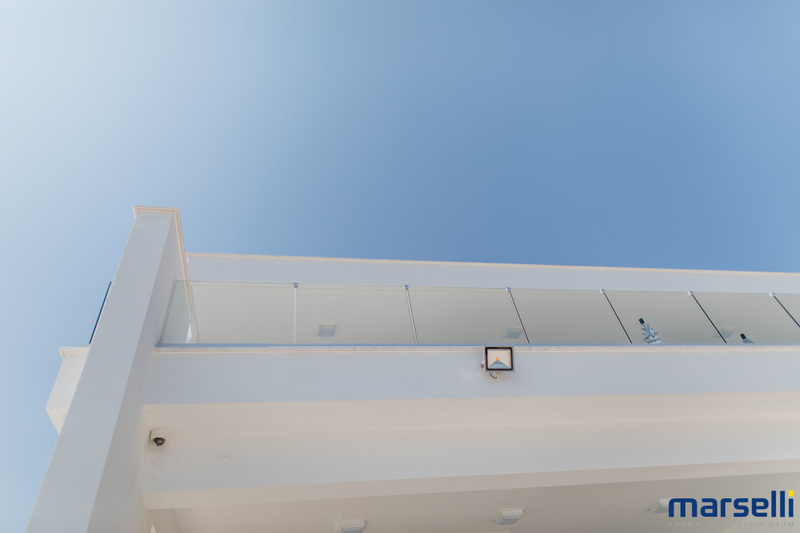 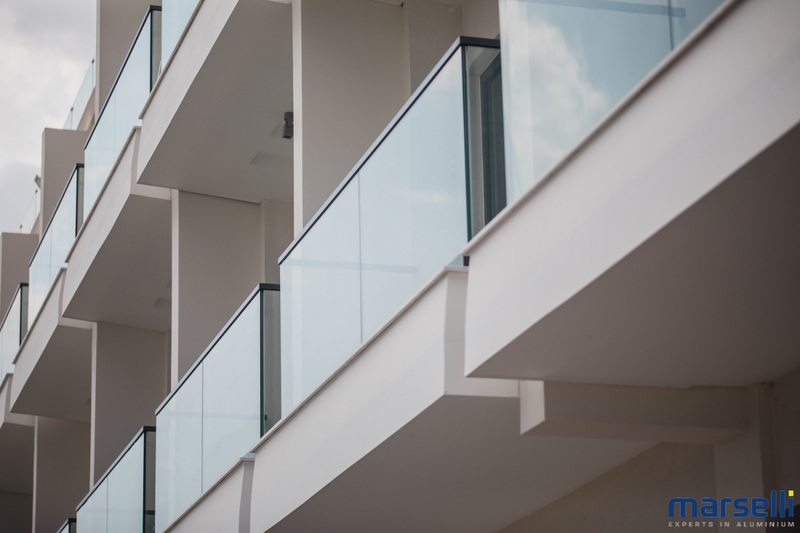 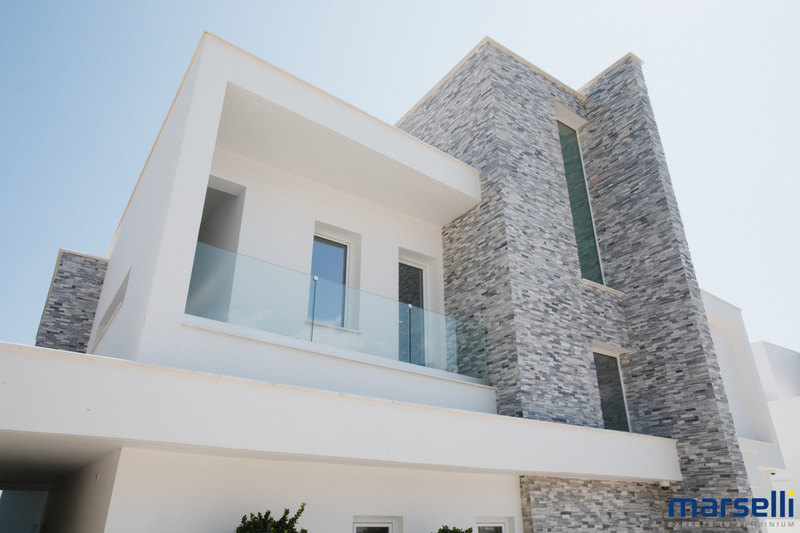 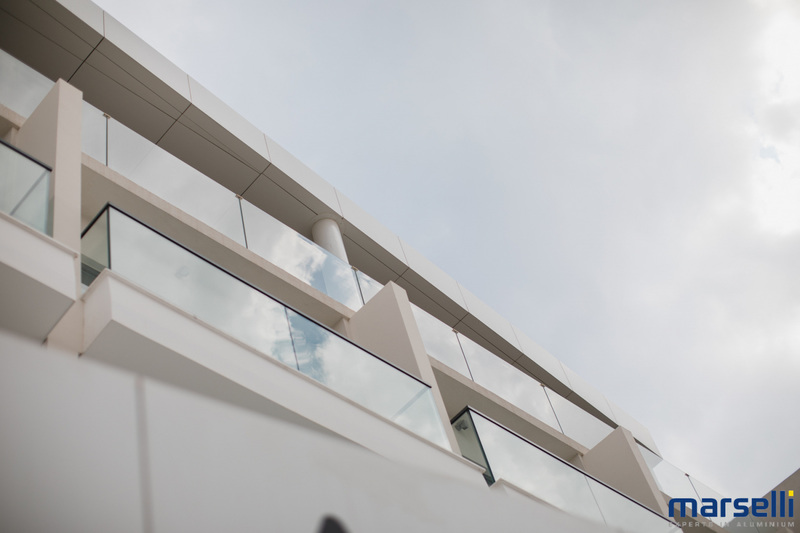 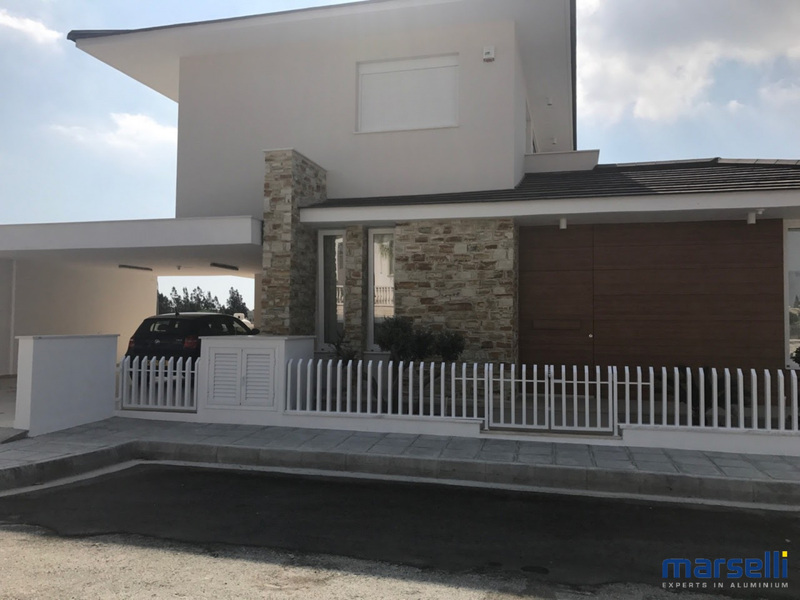 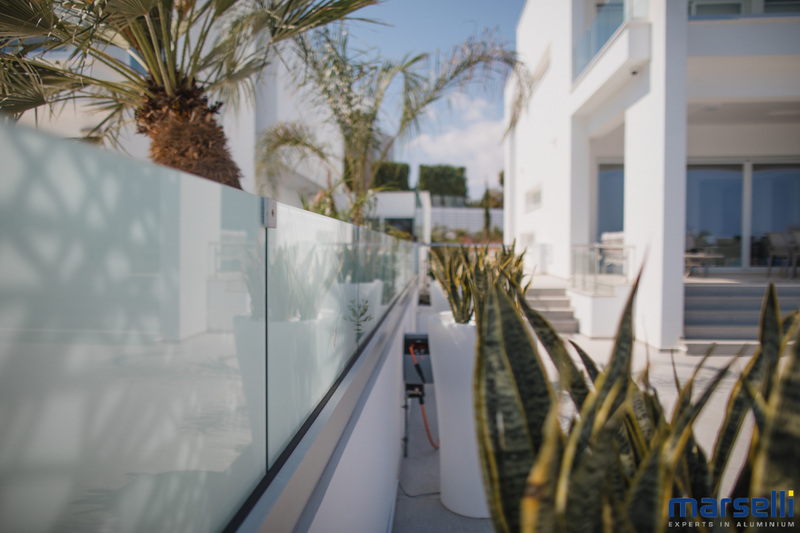 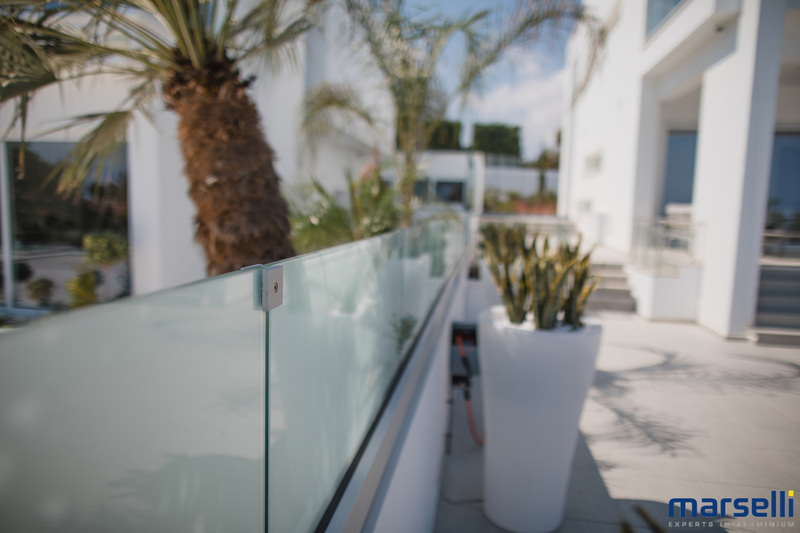 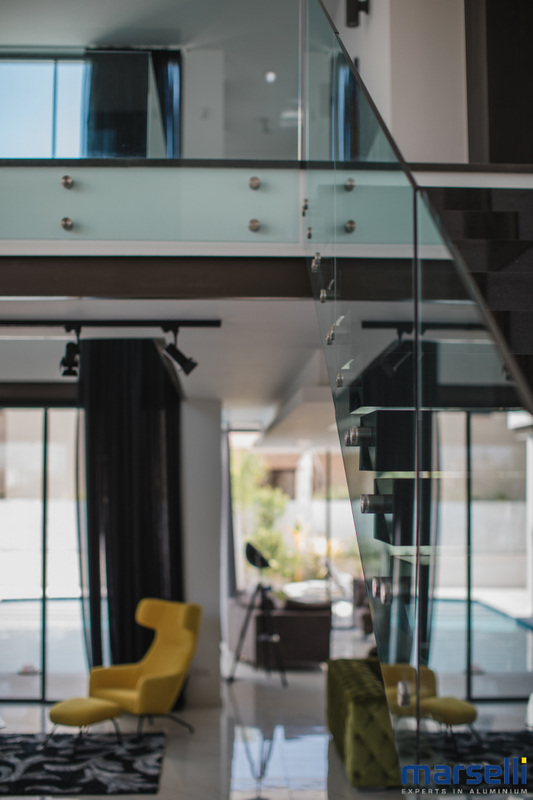 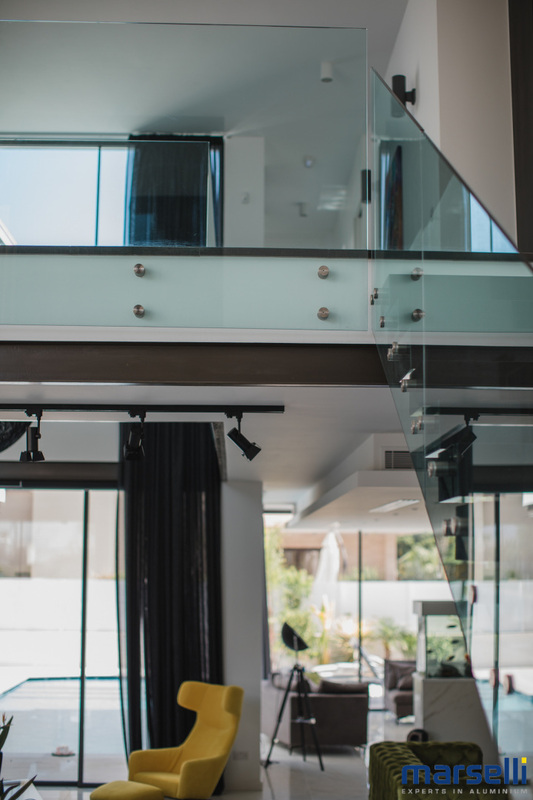 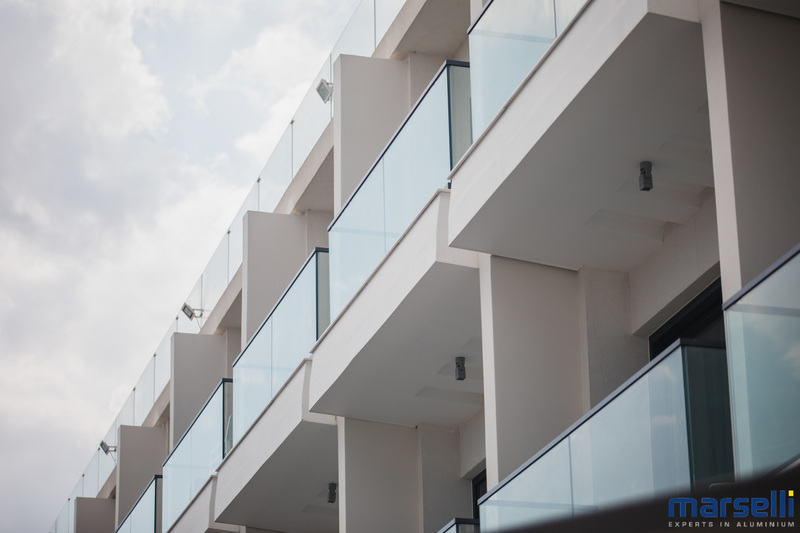 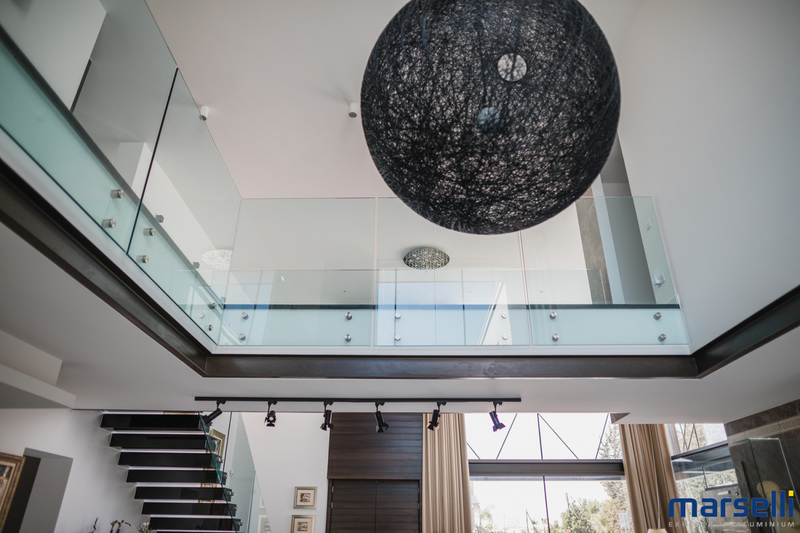 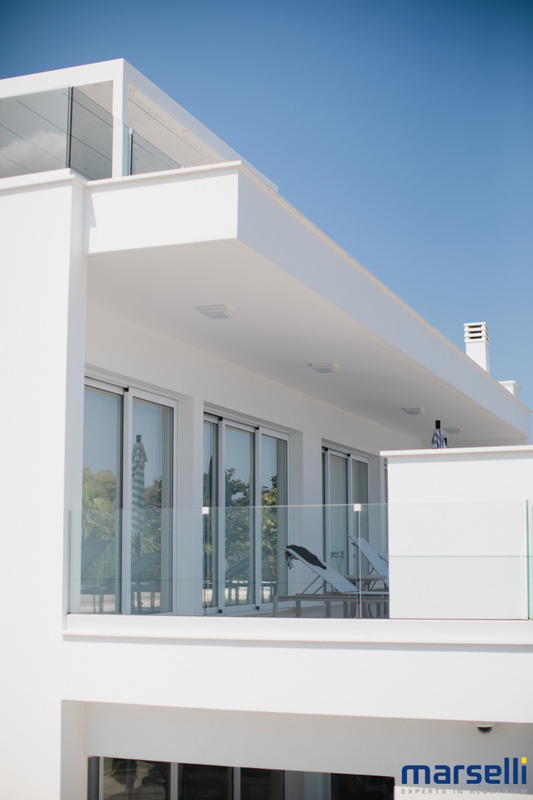 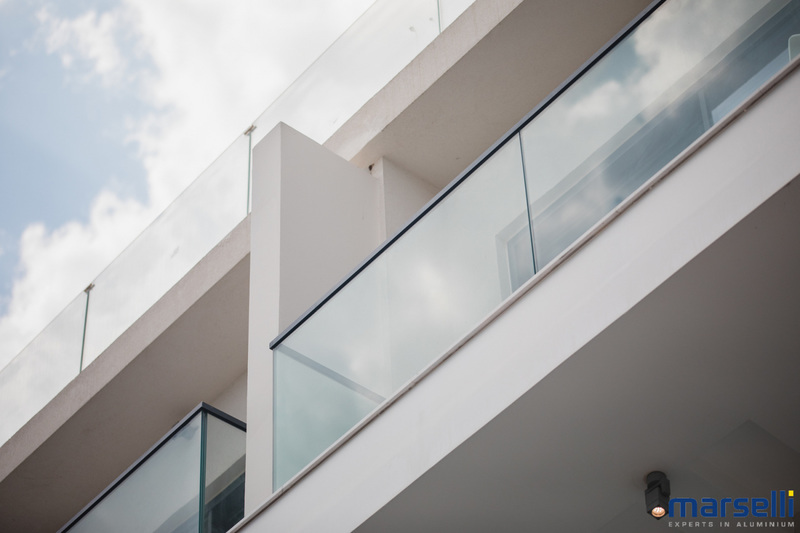 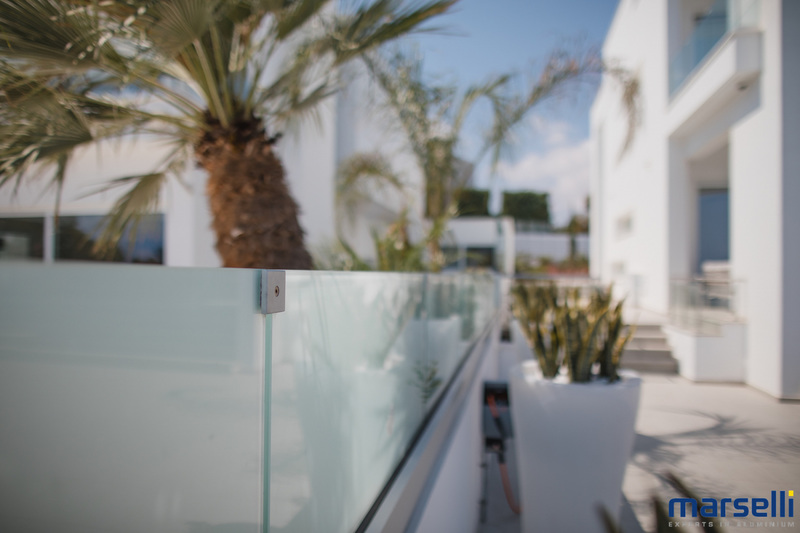 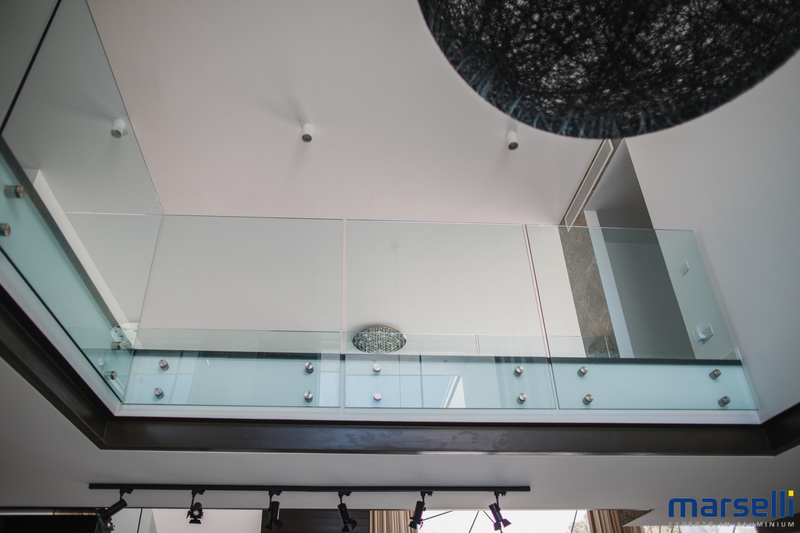 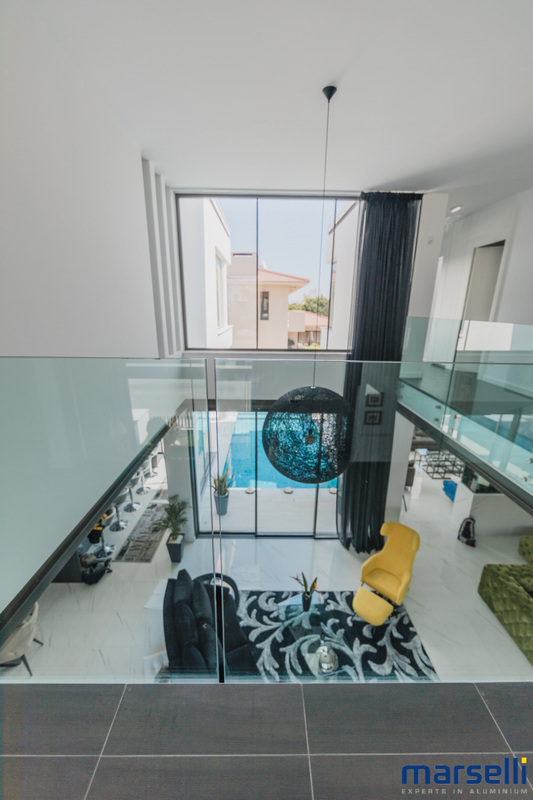 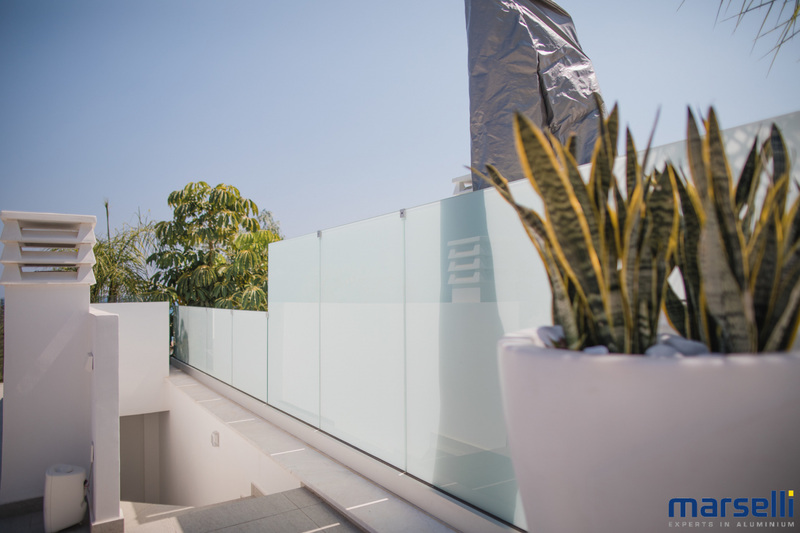 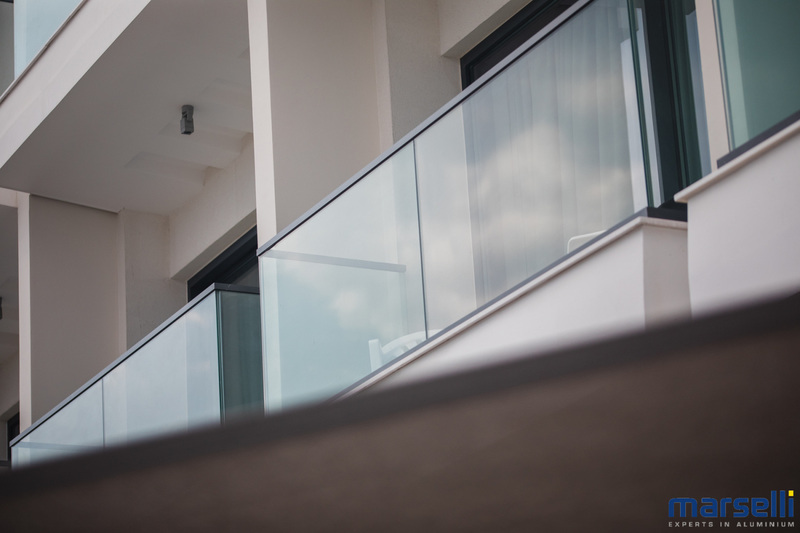 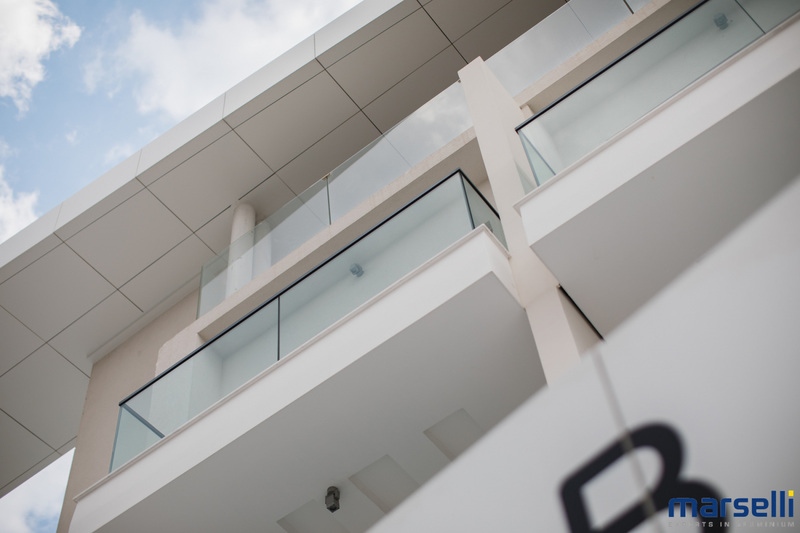 In our Company you can find glass railings that are the latest trend in architectural design and the unique solution for terraces and balconies. 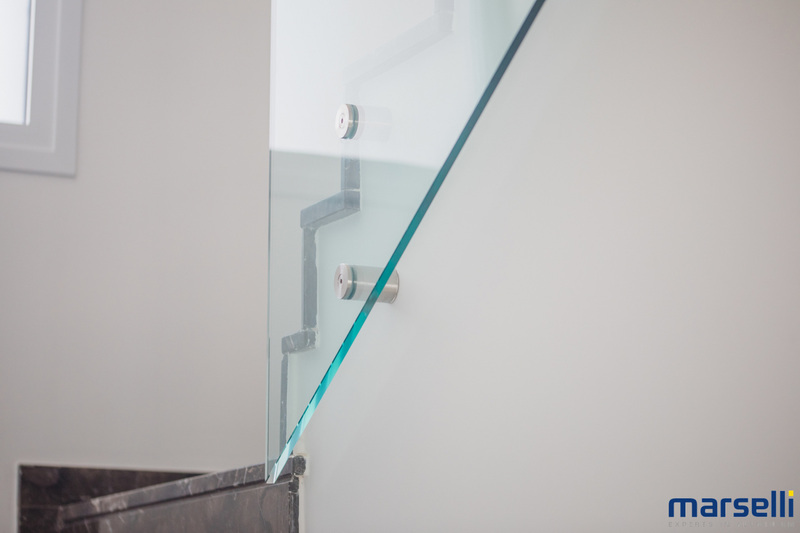 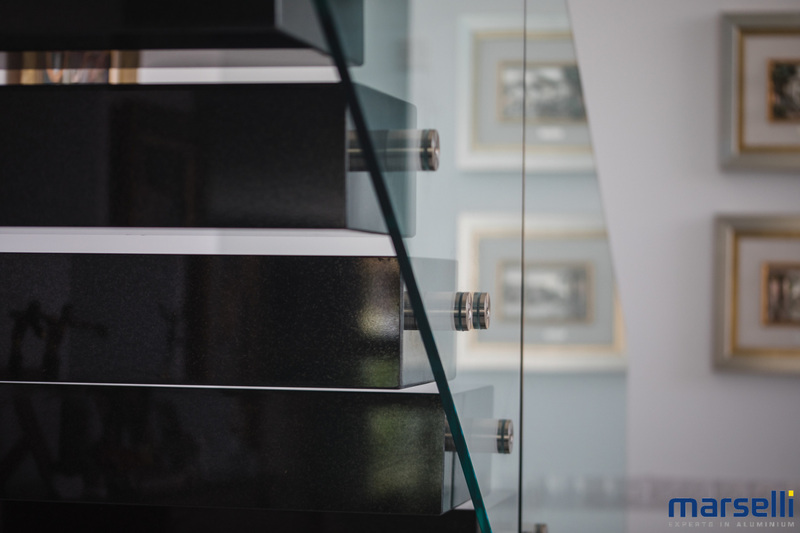 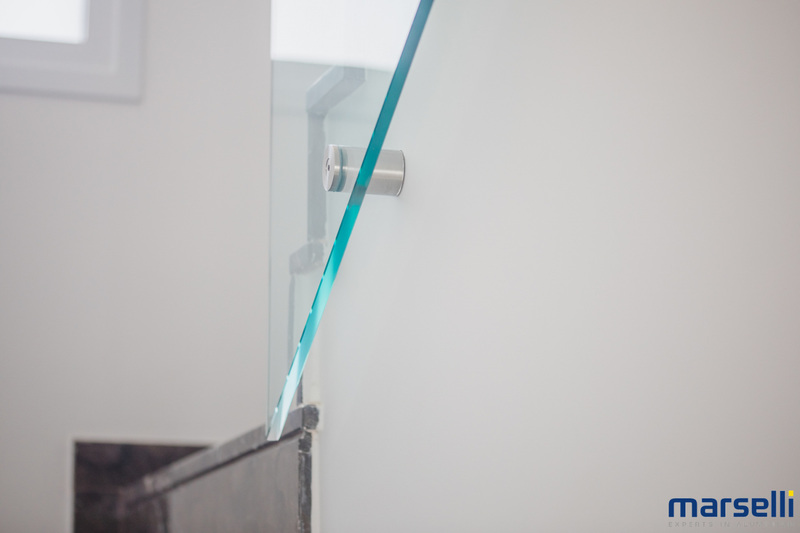 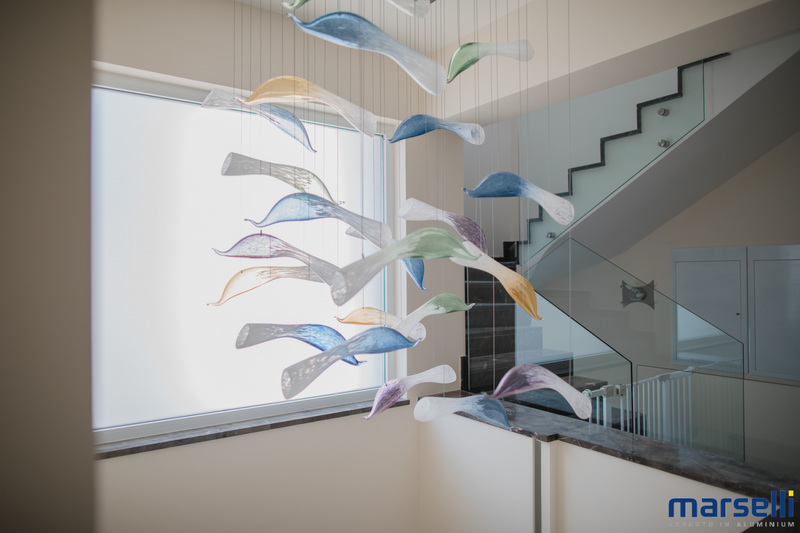 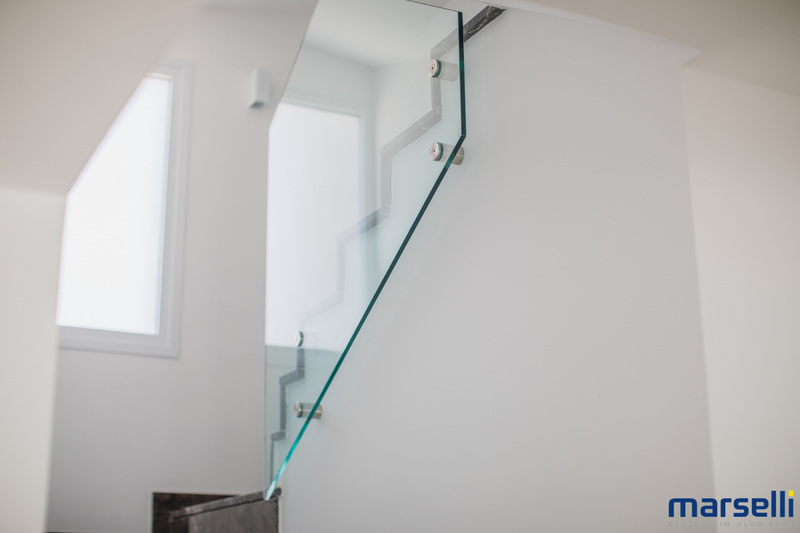 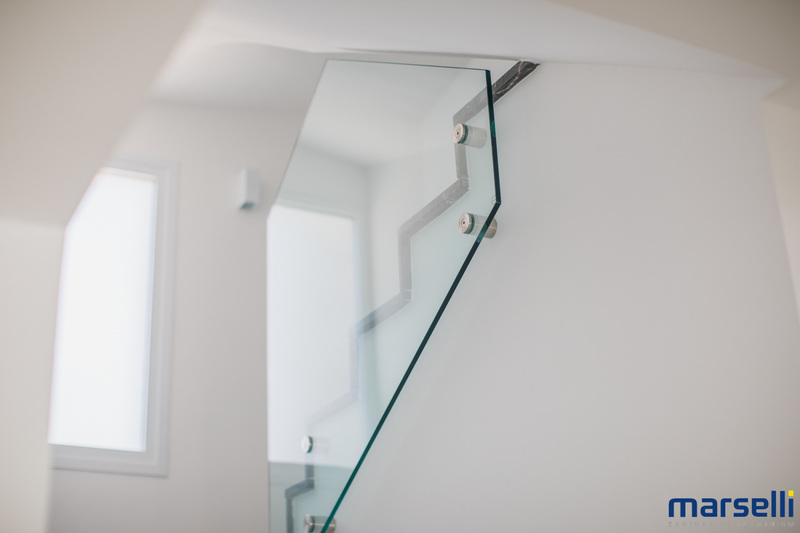 They are particularly durable and safe, as they use safety glass. 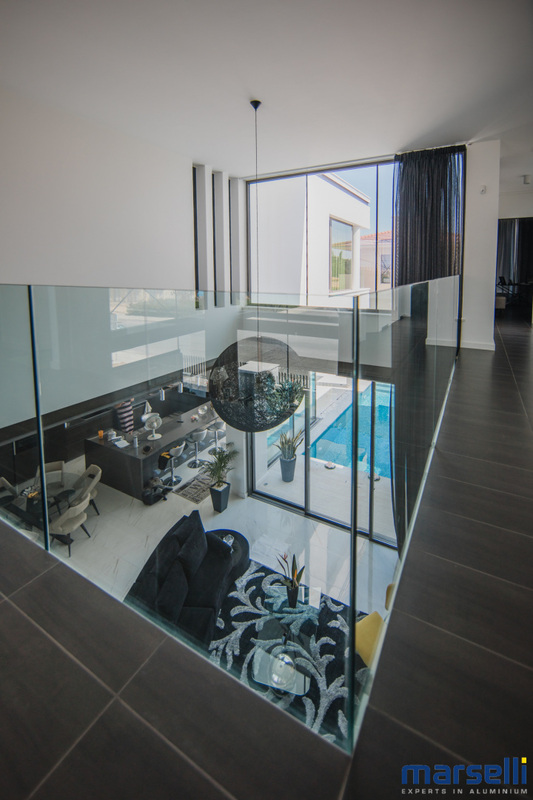 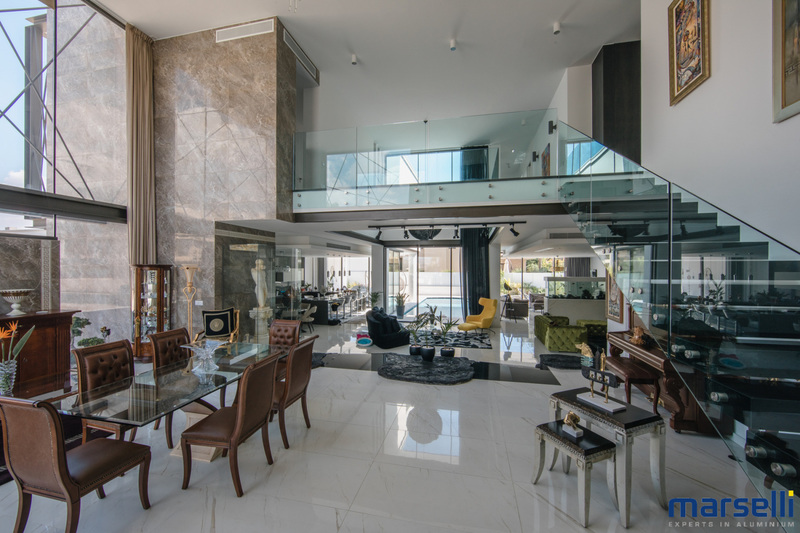 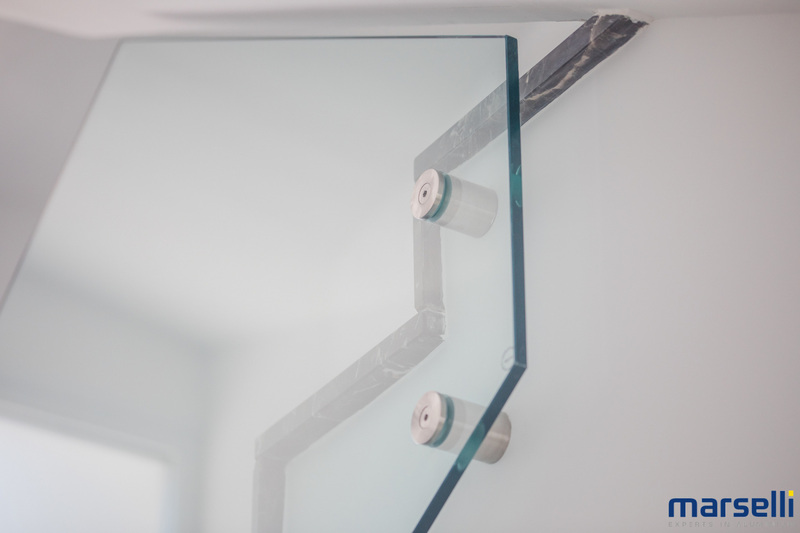 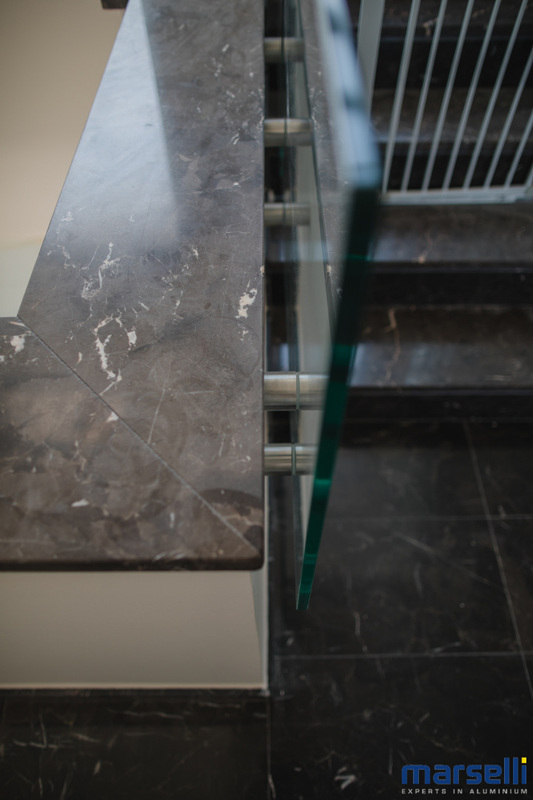 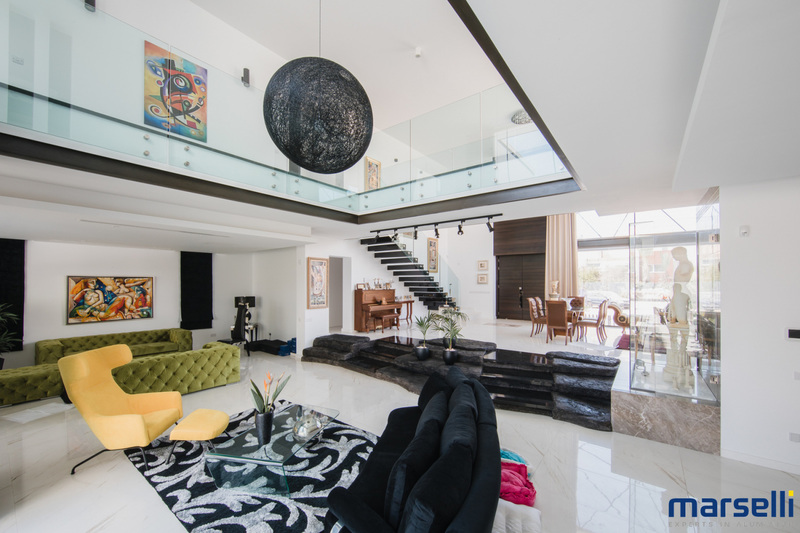 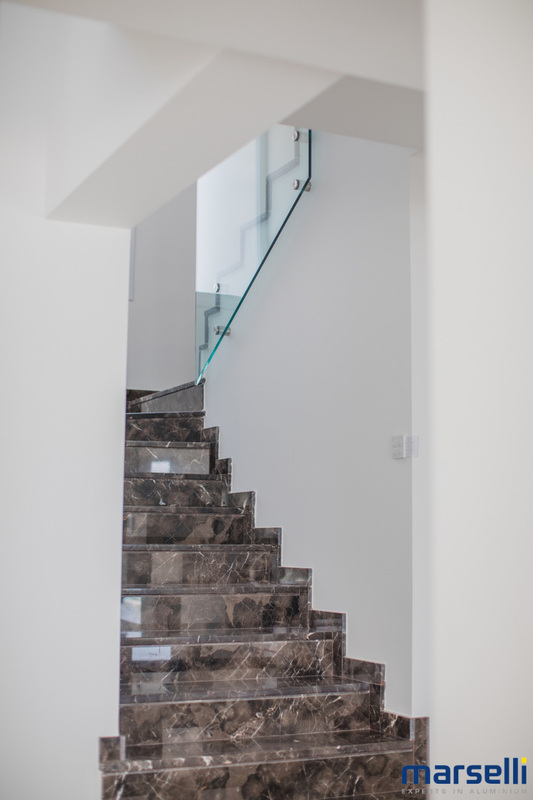 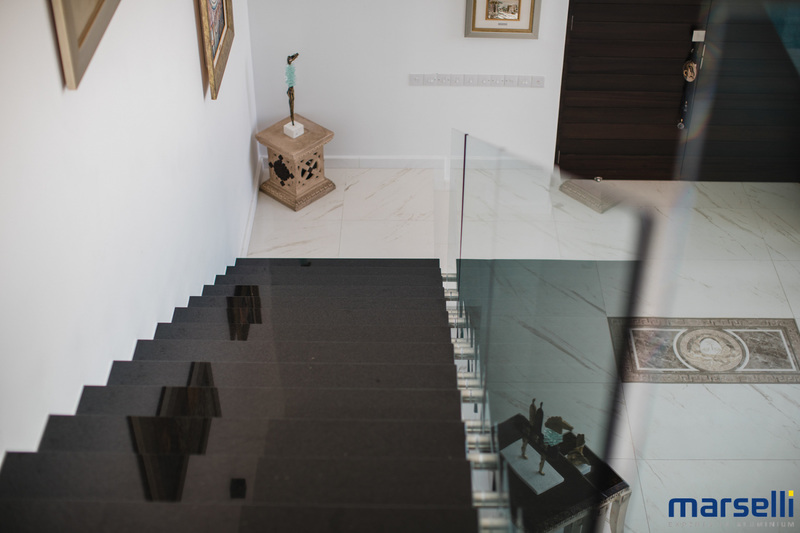 There are several ways of installing the floor base: with bottom-only mounting, without additional peripheral retention, or under-floor fully submerged installation resulting in frameless glass appearance. 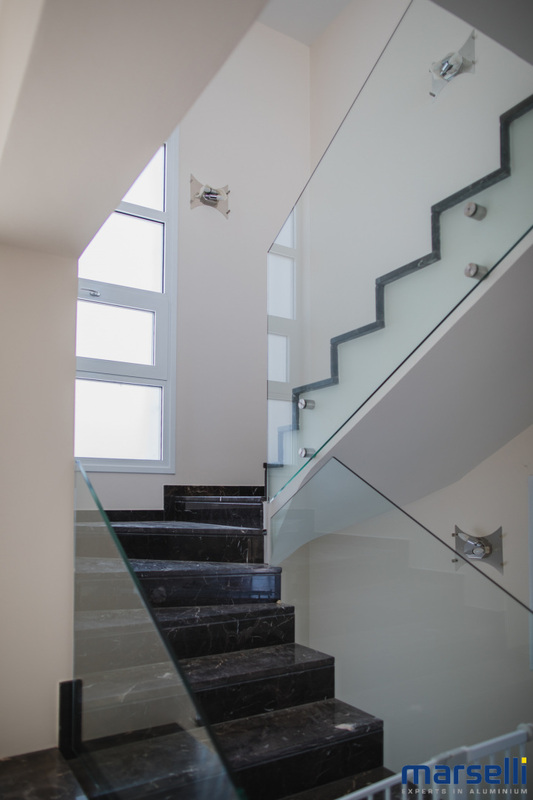 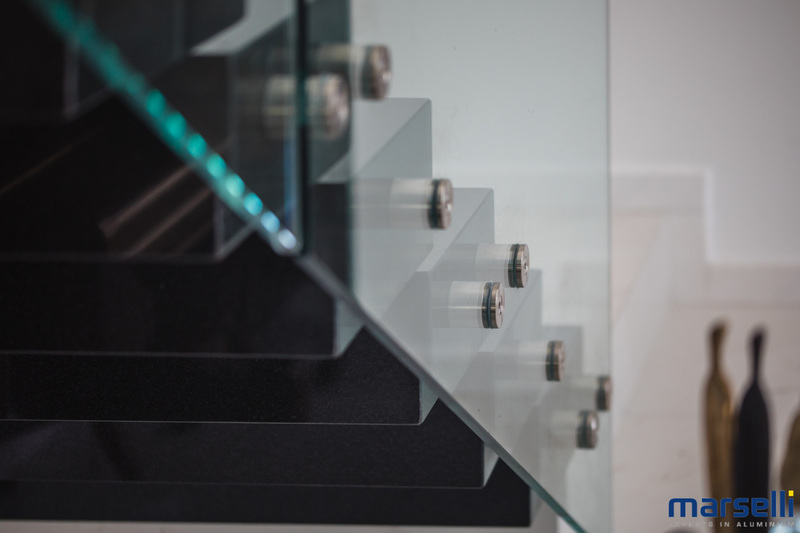 Construction with special spacers that retain the glasses on point, outside the parapet, or the staircase, giving an impressive result. 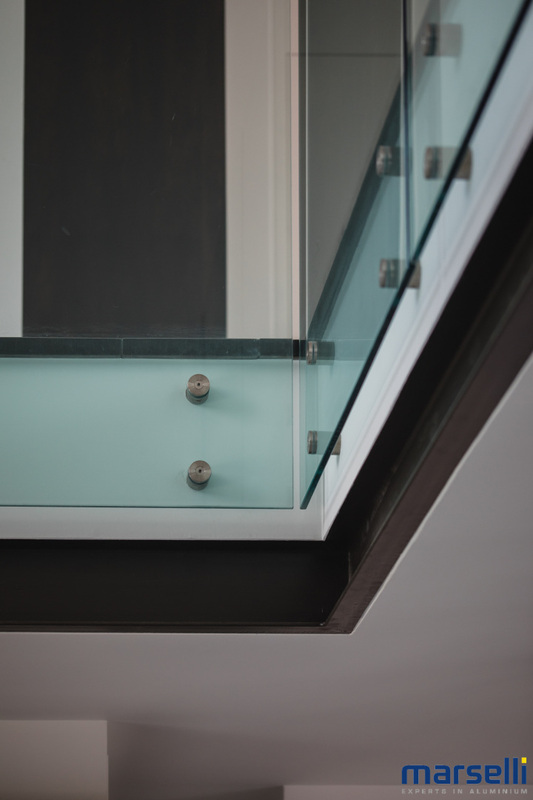 The above structures can accept 16mm safety glass. 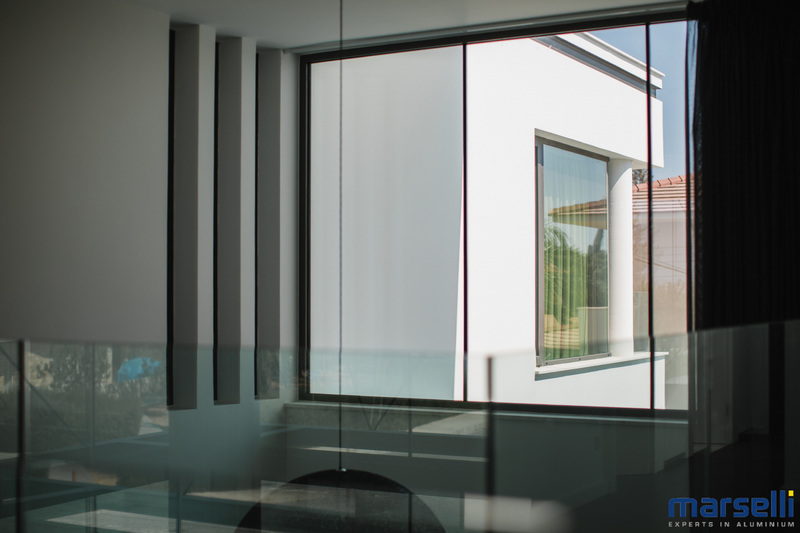 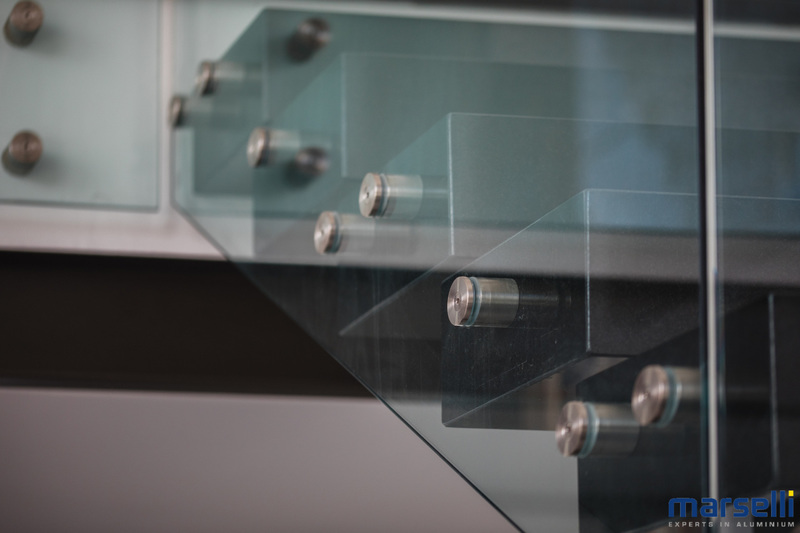 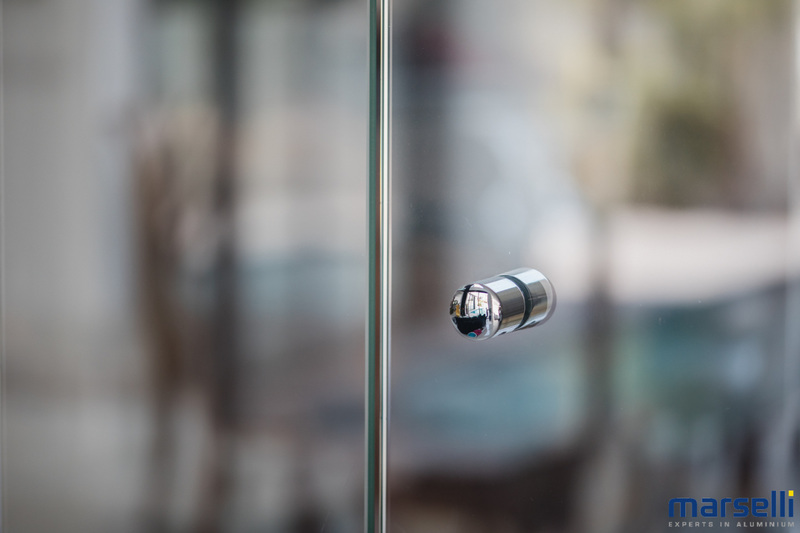 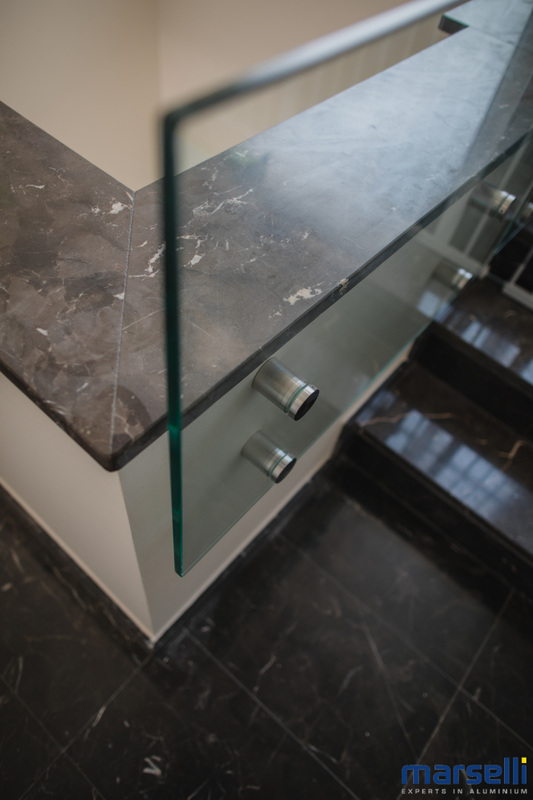 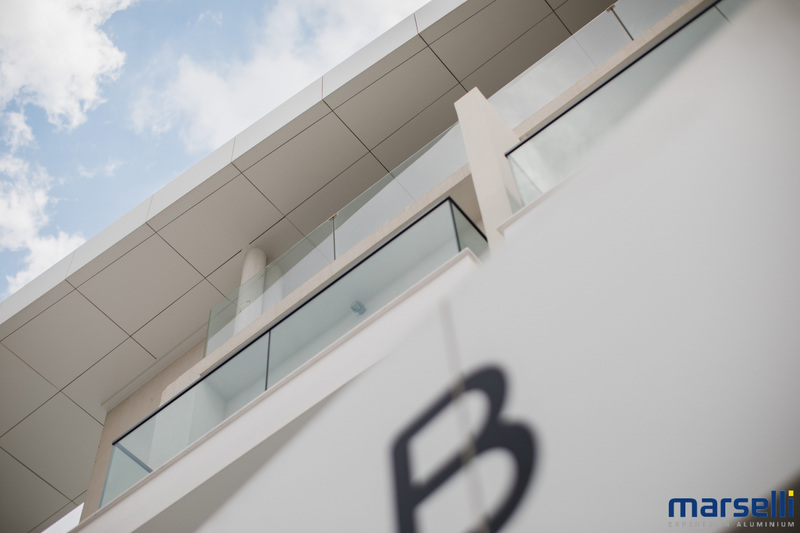 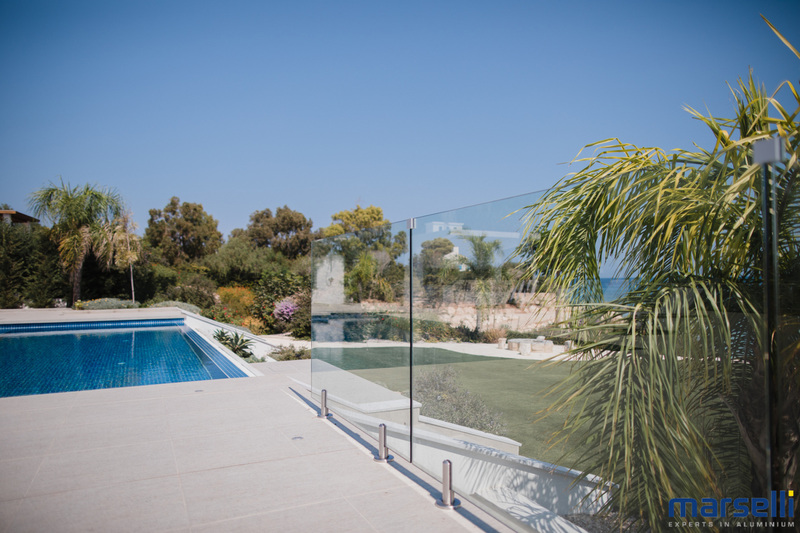 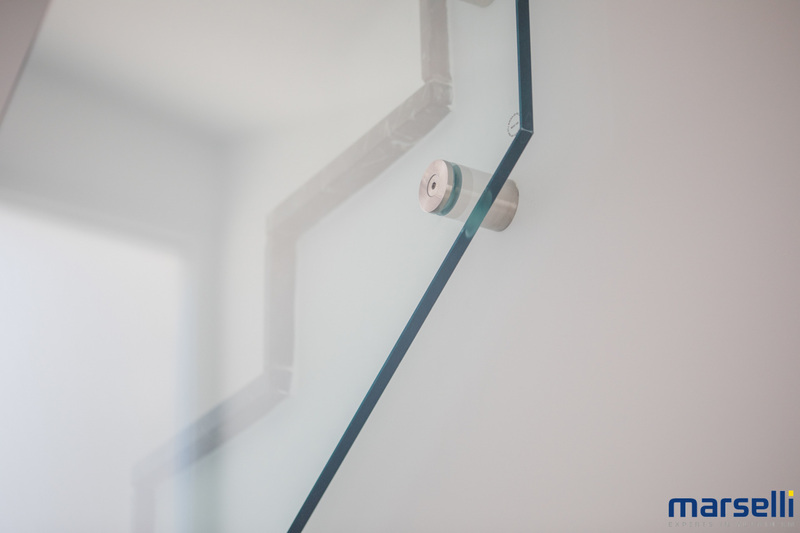 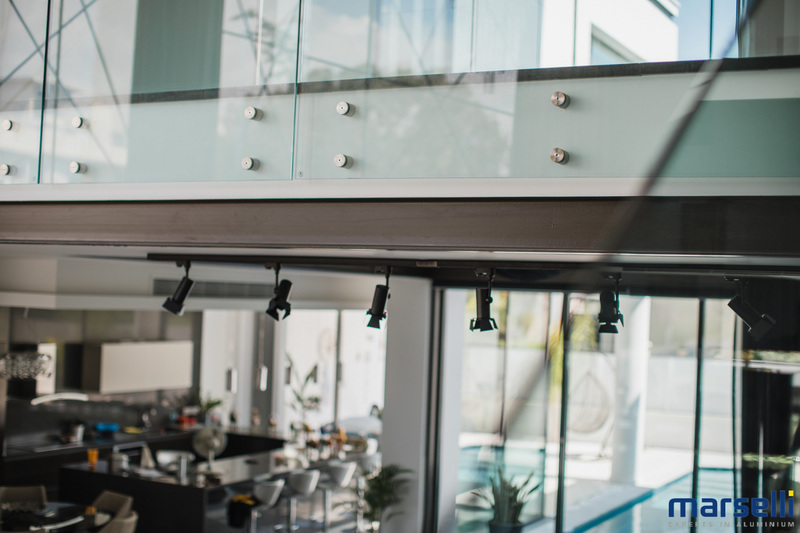 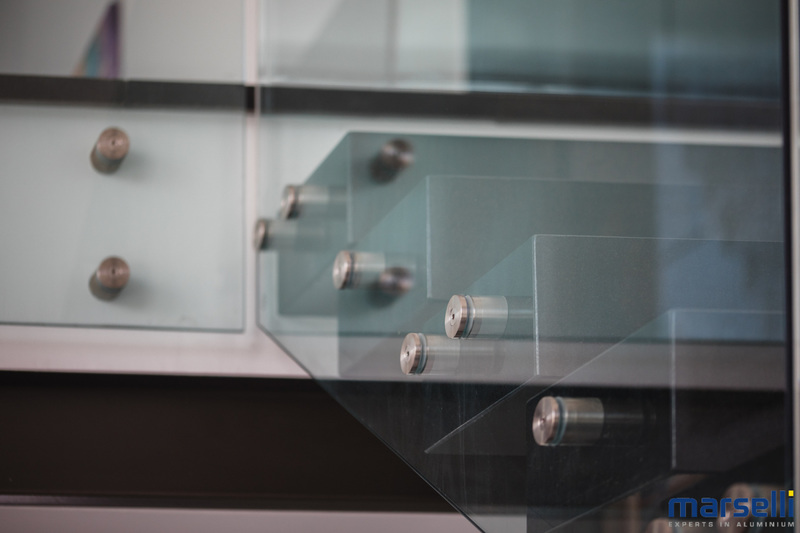 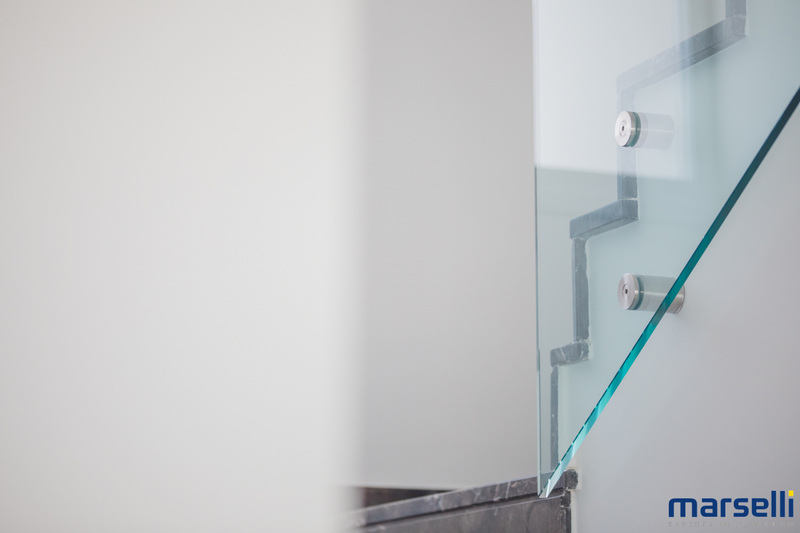 It also incorporates a system consisting of vertical poles and horizontal handles, with 8mm - 10mm safety glass. 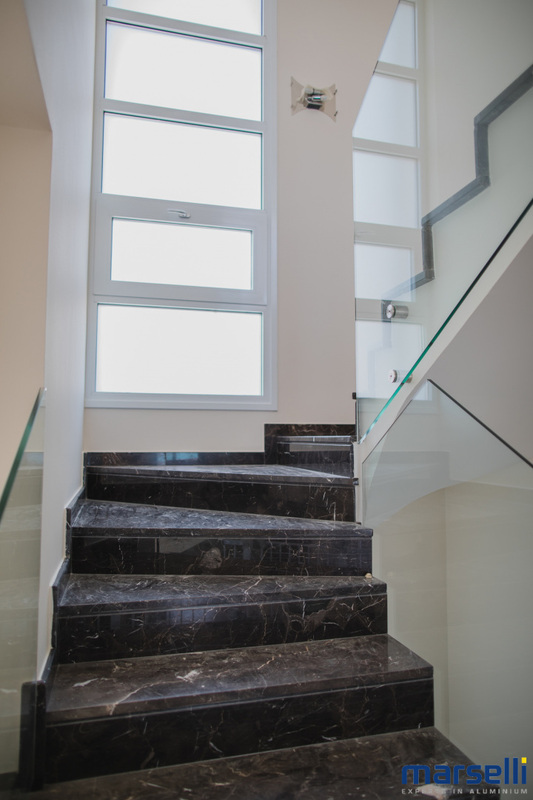 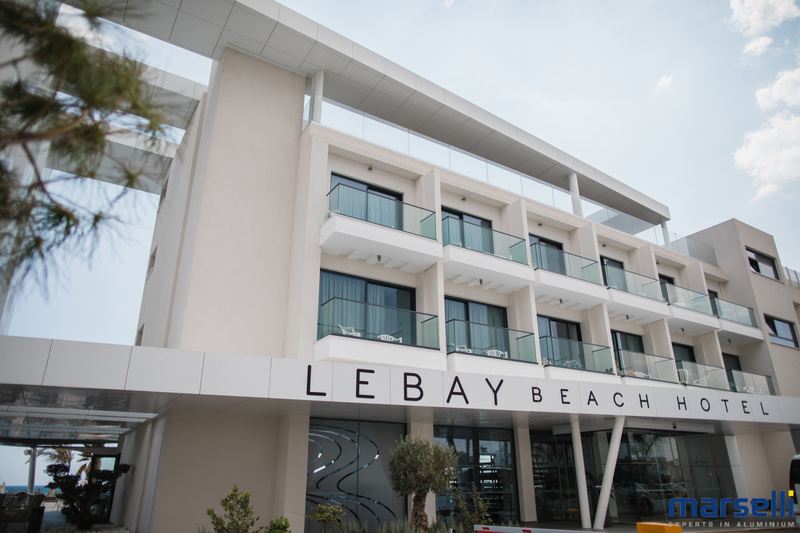 All constructions are certified and fully meet the most strict specifications. 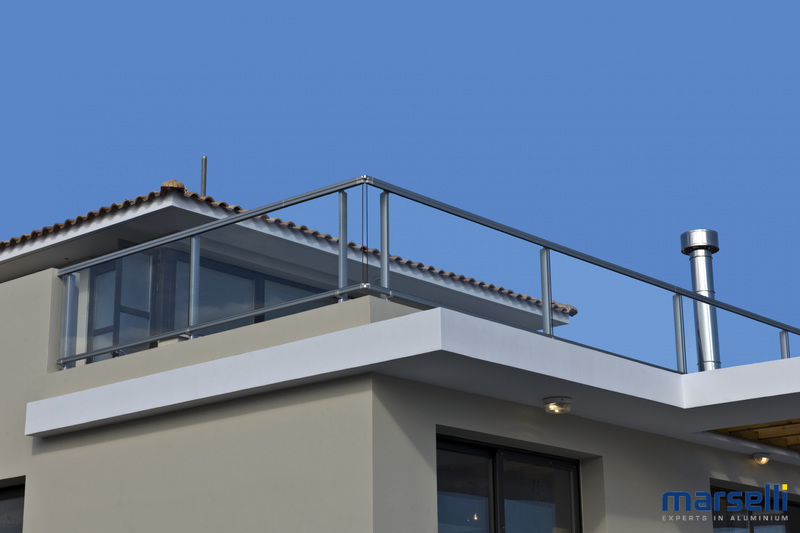 We also have aluminum rails in various designs of your choice and a wide range of colors.